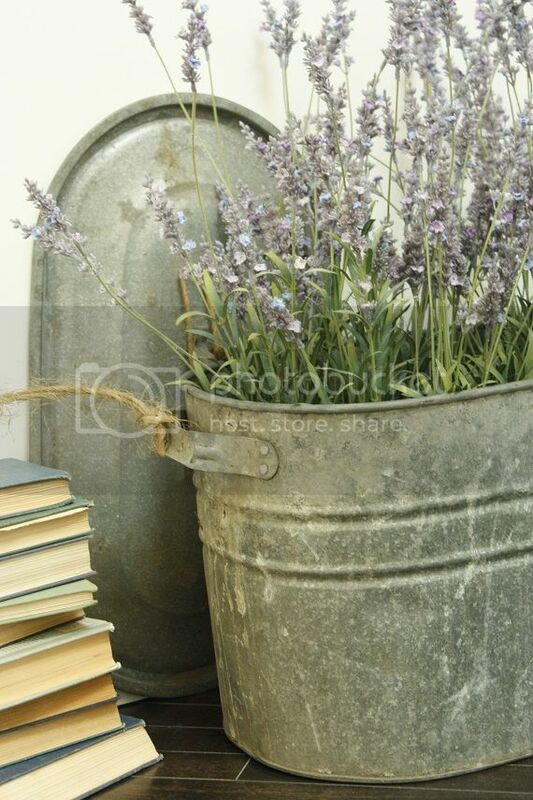 Nothing is more soothing to me than the smell of fresh lavender! 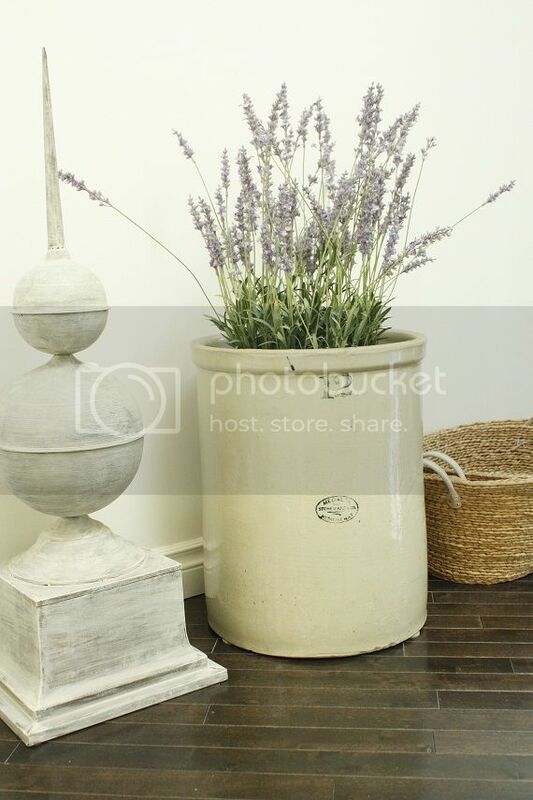 Sadly fresh lavender doesn't happen way here up north. 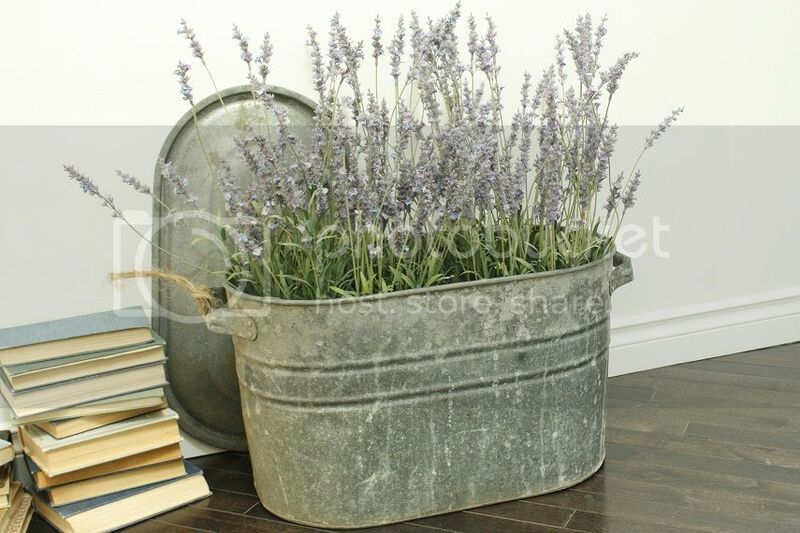 But I can now pretend I am relaxing on a chaise in Provence, even on the chilliest days thanks to these amazing faux Lavender buckets I scooped up at Restoration Hardware last week. Trust me, I am usually anti-faux plant! But these look so real that I often find myself leaning in for a sniff before I remember they aren't the real thing. The original price reflected their realistic look at $238 each (holy cow I can't believe someone would drop close to $500 for 2 of these!!) , but they were a much more reasonable $70 minus another 10% last week. Still not cheap, but I think they may actually save me money in the long run after the bad streak of killing plans I was on last year. I've played with them all over the house but they have ended up in my cast iron urns so I will be sure to share their final resting place once I pad them up with a little extra moss.